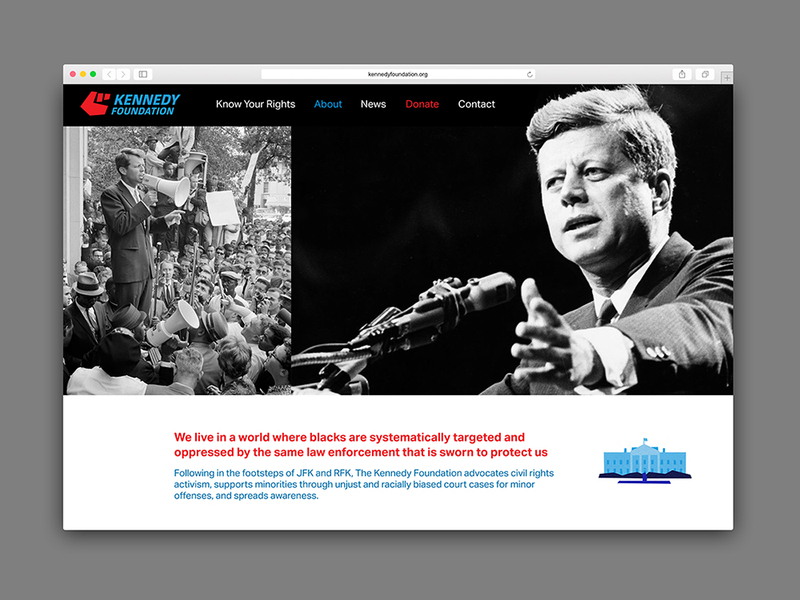 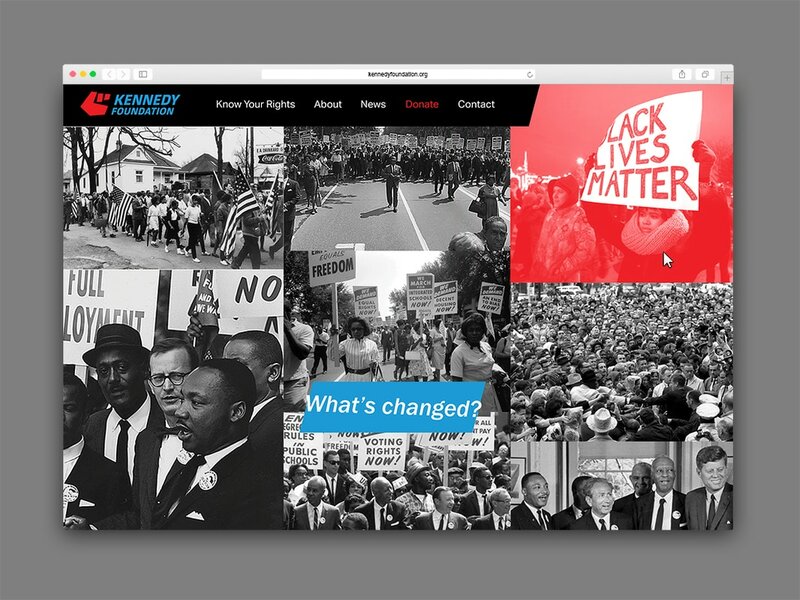 The Kennedy foundation is dedicated to supporting civil rights protesters and spreading awareness about the black lives matter movement. 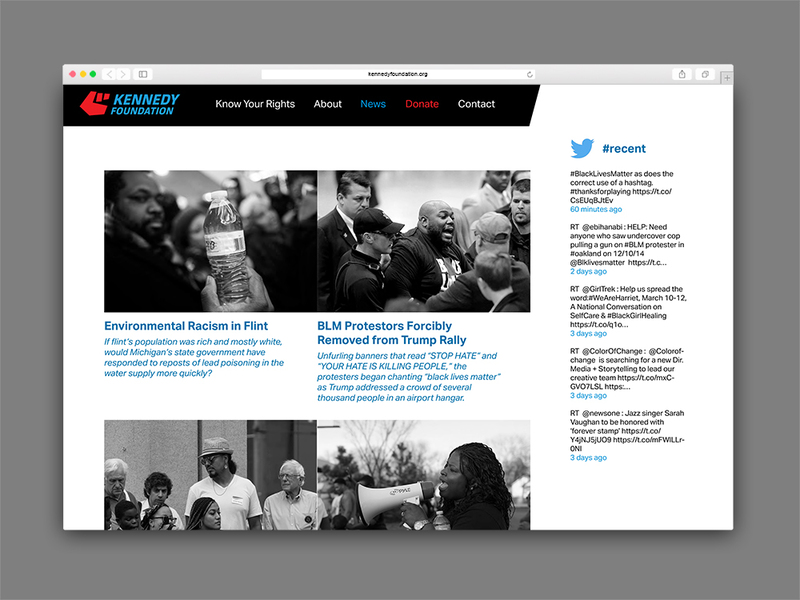 I designed a website that would serve as a platform for the foundation to support activists, educate the public, and receive donations. 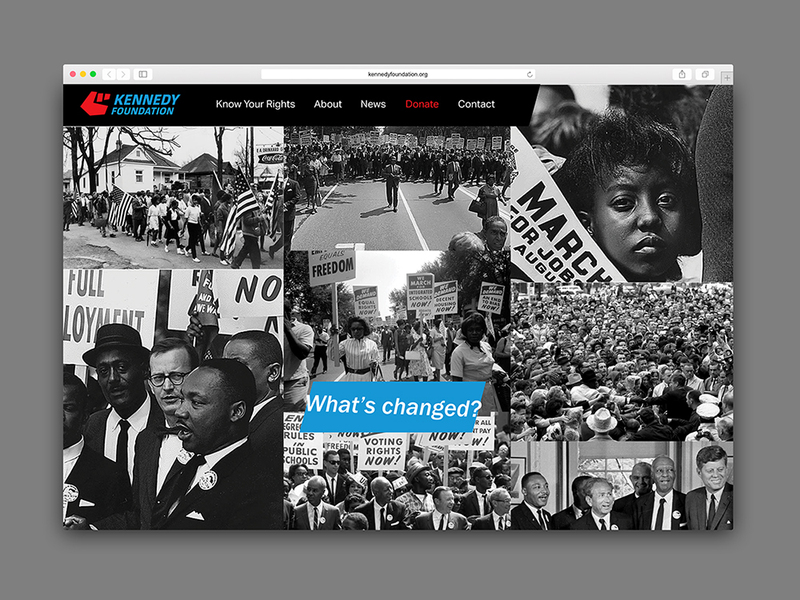 The homepage features a series of rollover images, with protests from the 50's in black and white, and the protests of today in red.